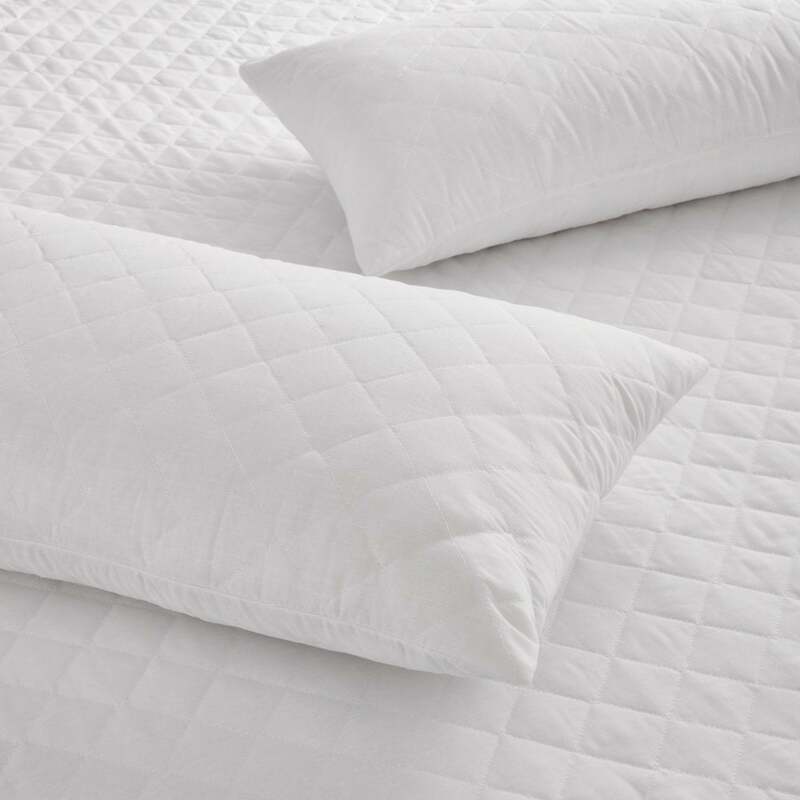 The Essentials quilted pillow protector is designed to offer comfort, whilst prolonging the life of the pillow. The quilted pillow protectors are non-allergenic and weighs 70gsm. The backing is made from a non-woven fabric, the filling is 100% polyester and the cover is 100% cotton. This pillow protector has a housewife style opening.